On Wednesday 22nd March, students from Years 9 to 12 studying Music, Drama and Entertainment set off to see the Musical Aladdin at the Capitol Theatre. 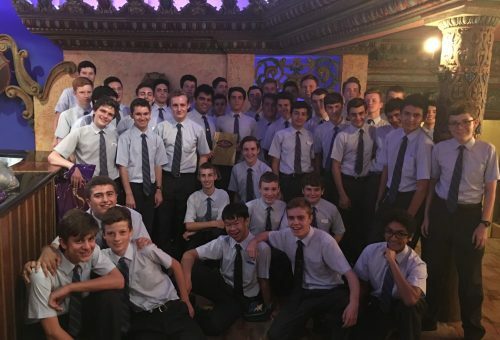 For some students, it was the very first time they had ever been to see a professional musical production and they certainly weren’t disappointed. The costumes and sets were amazing, and the students were able to visit the pit during the interval to see exactly how the musicians were organised under the stage. Everything the students learn in the classroom about performing, staging, sets, sound and lighting production came alive on the stage with Aladdin. We are very fortunate to be able to provide such a wonderful experience for our students and hope they are personally motivated and inspired to further their own creative skills.